We can test our DNA to see where we come from. Did you know that you can do the exact same thing for your dogs? That’s right! Your dog’s genetic makeup matters. Keep reading on to find out how to test your beloved pet’s DNA. Dog DNA tests were created to help determine the heritage of dogs that are mixed breeds. Testing your dog’s DNA is actually a lot easier than you may think. All you have to do is perform a simple cheek swab (like you would on yourself) and send the sample off to a lab. Once you send your test kits off, you’ll wait to receive your canine’s results. You should receive most results between two to four weeks, while some tests take over a month to deliver results back. 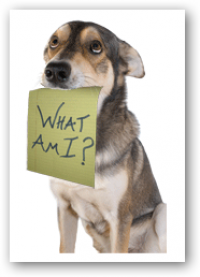 The test results are for informational purposes only; most dog owners use dog DNA tests to satisfy their curiosity. Besides curiosity, it’s important to test your dog’s DNA to know their breed and any health problems or complications that can come with having a specific type of dog. Knowing about these potential health problems ahead of time can end up saving your dog’s life down the road.